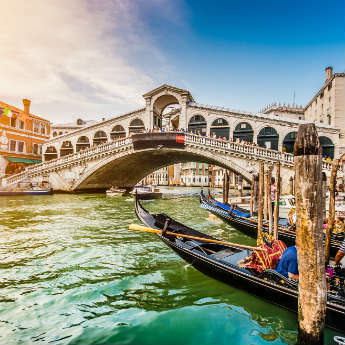 Christmas is fast approaching but there's still time to book a last minute trip to somewhere that’ll ensure festive fun aplenty. 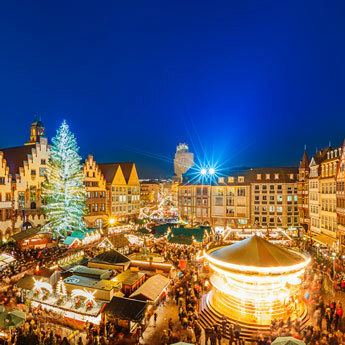 Xmas markets provide the perfect opportunity to combine visiting a new city with getting a dose of Chrimbo cheer, though having so many to choose from around Europe and beyond, the hardest part is actually deciding where to go. We’ve picked out seven of our favourites that would perhaps otherwise slip under your radar, so check them out and discover where you can enjoy a Yuletide break that’s different to the tried and tested. 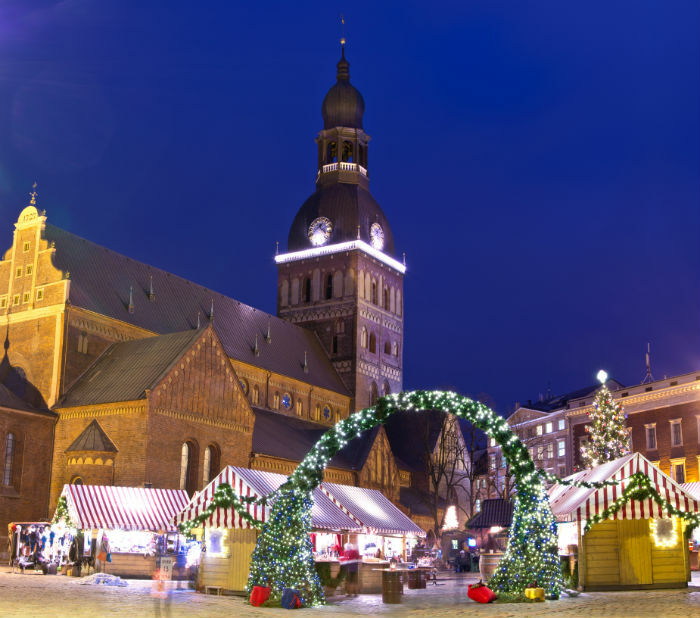 It’s widely thought that the first ever Christmas tree was put up in Riga way back in 1510, so Latvia’s capital certainly has years of Xmas celebrations to call upon. 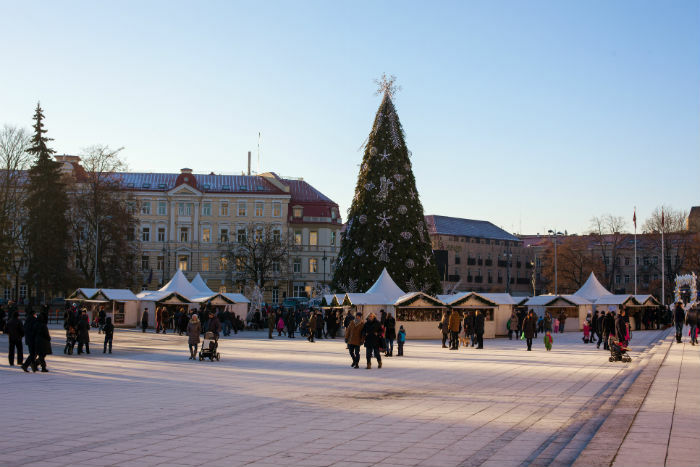 With separate markets perfectly situated in city centre locations on the Doma Iaukums and Livu Iaukums squares as well as in Esplenade Park, the sheer amount of stalls and attractions will keep you occupied for the majority of your stay. Make sure to visit the small ‘village’ in Esplenade Park which is inhabited by real rabbits! Sticking to the opening line theme of Christmas trees, the one in Vilnius last year was lit up by an impressive 70,000 bulbs and could be seen out of aeroplane windows upon arrival at the city’s airport. 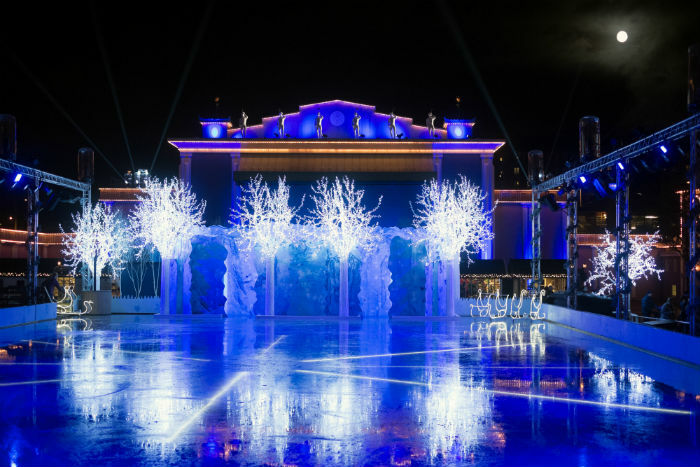 With 48 stalls, huge 3D displays and copious carnival games in the Bernardinai Gardens, you’re bound to be left feeling festive, especially after snapping up a sweet treat and taking in the dazzling decorative displays. 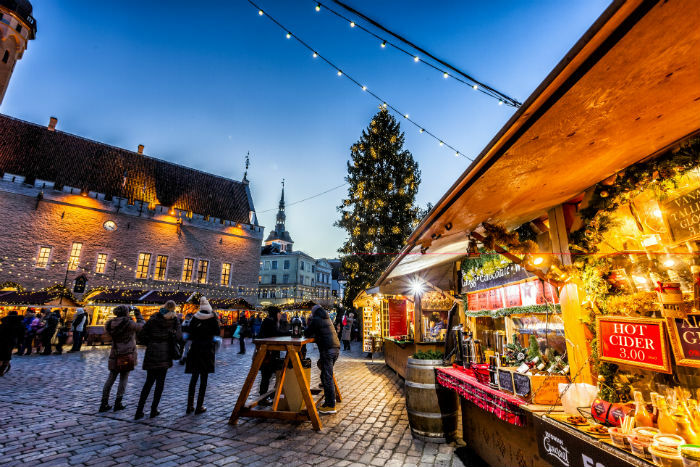 Home to the largest Christmas market in Scandinavia, it’s a must-visit for any Yuletide enthusiast. From reindeer sleigh rides and bucketloads of festive snacks, including glogg (spiced wine) and saffron buns, to wandering along the 3km illuminated ‘Lane of Light’ into the centre of Gothenburg, you’re sure to be left feeling festive. Don’t forget to warm yourself up with a slide around the ice skating rink when the temperature drops - a great activity for both adults and kids alike and perfect for keeping the whole family occupied. Of course already a hugely prevalent city break destination for its pretty main square and popular tourist sites and attractions, the market in Krakow is sure to provide a Christmas cracker of a December short break. Expect the streets to be bustling with life from early in the morning until late, featuring performances from local schoolchildren and churches and a variety of goods on offer that extend way beyond purely Xmas decorations. 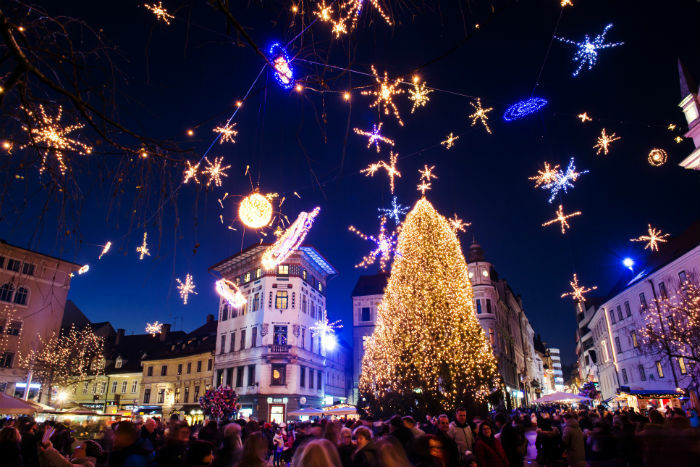 Lasting a whole month and superbly situated in Ljubljana’s picturesque old town, this superb festive fair boasts rows of wooden stalls offering tasty Christmas treats and wonderful creations mad eby the locals. Don’t miss the parade headed up by Santa and his snowmen and make sure you take the kids to the creative workshop, after a visit to Ice Fantasy, the 21,527 square foot skating rink in the middle of the beautiful Zvezda Park. Always a hugely popular city break destination for groups, couples and solo travellers alike, Dublin really comes into its own around Christmas time. The free-entry Xmas market is home to move than 100 festive stalls, including vintage and retro collectables, as well as independent Irish craft-makers not found on the high street. If you’re heading there slightly before the Yuletide season, try and catch the Christmas Procession as it brightens up the city and switches Dublin’s light decorations on for another year. Placed in the middle of Tallinn’s UNESCO town square, the market might be small but it makes up for that with its dreamy set up. 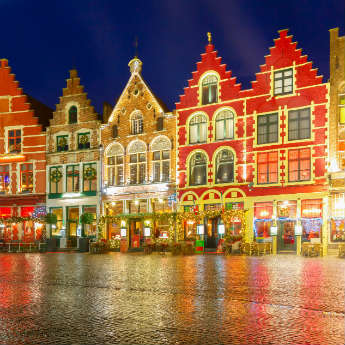 Widely considered to be the first European country to display a Christmas tree way back in the 14th century, the city has been home to festive cheer for many a year. Make sure to try some typical Estonian cuisine whilst taking in the pretty spots, glowing with December décor and wrapped inside sublime scenery.